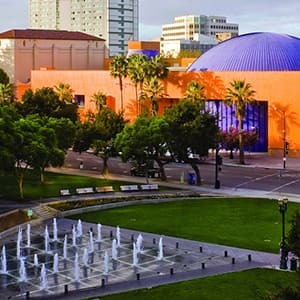 The DPDK community met at The Tech Museum of Innovation in San Jose at a two-day event to discuss the application of DPDK to a variety of industry segments including telecom, cloud, enterprise, security, and financial services. The event enabled the DPDK open source community to share DPDK usage and implementation; to hear from DPDK developers, contributors, and users; and to build the DPDK community. This presentation will outline the roadmap for future DPDK releases including 16.11 and 17.02. This presentation will focus on NXP experiences in contributing to DPDK, and areas of DPDK that need to be enhanced to improve support for ARM-based processors. Cavium will provide an overview of event driven programming and the RFC API proposal for extending DPDK to adapt such a model. The presentation will cover introduction to event driven programming model concepts, characteristics of hardware-based event manager devices, RFC API proposal, example use case, and benefits of using the event driven programming model. This presentation will provide an overview of cryptodev framework in DPDK. It will show how both software and hardware crypto accelerators can be used transparently from the application, providing an overview of the framework, its API, a performance analysis and comparisons of software and hardware solutions, and finally an example of NFV use case. This presentation will describe Oracle’s experiences in using DPDK to accelerate I/O for typical end-systems applications. The talk will attempt to generate some discussion about areas where API constructs to provide access to key DPDK features would be valuable to enable an easy transition for typical real-world socket applications. This presentation will cover flow table design using DPDK, as well as new algorithmic and hardware optimizations for the RTE hash library that improves on the lookup and the flow update/insert performance. Furthermore, a new research proof of concept (POC) to optimize the OVS flow lookup using a two-layer lookup technology based on DPDK libraries will be highlighted with some preliminary research results. This presentation will describe how to achieve maximum I/O performance. It will include an architectural view focusing on the key elements in fast path Rx/Tx, typical application usage scenarios, and methods for optimizing performance. This presentation will describe how to use DPDK together with Intel® Quick Assist Technology and the Intel® Ethernet Multi-host Controller FM10000 Family (FM10K) to achieve 100G throughput and OVS offload. In order to better plan and utilize their networks, Network Administrators need solutions which give them the visibility into the network. Happiest Minds enabled the transformation of a leading Network Packet Monitoring company to co-create the Network Virtual Packet Monitoring system leveraging the key technology innovations like DPDK. This presentation will describe the development of NFV use cases such as a virtualized provider edge router (vPE) using the DPDK and FD.io projects. The panel will be comprised of some of the technical experts from the DPDK community. It will involve an interactive Q&A with the audience. DPDK in a Box is small, low-cost DPDK platform running on a Minnowboard. It’s not intended for volume production, but may be useful for universities and independent developers who want to work on DPDK but have a limited budget. A lot of development effort has been done to DPDK vhost-user/virtio recently, including improving the performance, enhancing the stability and adding more functionality. This presentation will describe some recent enhancements including vhost-user multiple-queue and vhost-user reconnect. Container-based networking is becoming more and more popular because of the short provisioning time, low overhead, good scalability and reusability. This paper describes virtio for container technology, providing a scalable, high-performance, user space virtual network interface for L2/L3 VNFs. In our experiments, OVS­DPDK can achieve a maximum of 8x throughput increase compared with vanilla OVS. To understand the performance difference, we leverage advanced profiling tools such as Intel VTune Amplifier and Linux perf  to investigate in detail what system architecture parameters are affected by OVS­DPDK for achieving the speedups. In this talk, Mr. Herbert compares VPP with Open vSwitch. Although both VPP and OVS utilize DPDK for data plane acceleration, they are very different in internal architecture and implementation. Mr. Herbert will discuss these differences in the context of various use cases and how performance can vary and how in different uses one may shine while the other may falter. Software switches are typically based on a large body of code, and changing the switch is a formidable undertaking. Instead, it should be possible to specify how packets are processed and forwarded in a high-level domain-specific language (DSL) such as P4, and compiled to run on a software switch. We present PISCES, a software switch derived from Open vSwitch (OVS) DPDK-based implementation, a hard-wired hypervisor switch, whose behavior is customized using P4. This presentation will describe the Berkeley Extensible Soft Switch (BESS). In this talk, we take the position that volumes today should represent a core building block of datacenter storage, analogous to virtual machines. In addition to providing a logical block interface, volumes must also provide additional data plane services necessary in multi-tenant environments, such as performance-isolated resource sharing and access control, at the line-speed of expensive non-volatile memories. In this talk, we share the latest experiment and performance tuning knowledge of scale-out NFV environment in ShowNet of Interop Tokyo 2016. We deployed a set of DPDK-enabled routing VNFs on DPDK-enabled hypervisor vSwitch called Lagopus vSwitch with DPDK vhost-user PMD to examine their performance scalability. This presentation describes the Transport Layer Development Kit (TLDK), which is an FD.io project that provides a set of libraries to accelerate L4-L7 protocol processing for DPDK-based applications. The initial implementation supports UDP, with work on TCP in progress. The project scope also includes integration of TLDK libraries into Vector Packet Processing (VPP) graph nodes to provide a host stack. One approach to network virtualization is via end-system IP/VPN based overlays. To implement these end-system IP/VPNs, often a kernel based software module is leveraged. However, when the module resides in the host kernel, it incurs a performance penalty. To alleviate these performance penalties, the OpenContrail implementation leveraged DPDK and ported the kernel based distributed forwarding module to the user space. Why are Open and Programmable Data Planes Critical to the Future of Networking? This talk will present the need for programmability and openness of the data plane and the benefits to the networking industry as a whole. Specifically the talk will include details on P4, a high-level, networking domain-specific and open programming language and the ecosystem that is burgeoning around it. In you have a simple one-line patch or a full blown Poll Mode Driver this talk will explain how to get that code upstream into DPDK. It will discuss the DPDK community, the mailing list, the patch process, the contributors guides, the ABI policy, code reviews, documentation and other aspects that make up the DPDK ecosystem.